Value sized bundles for maximum 3D printing options. Choose a Polar 3D value pack to fit your schools needs for creating the innovators of tomorrow. 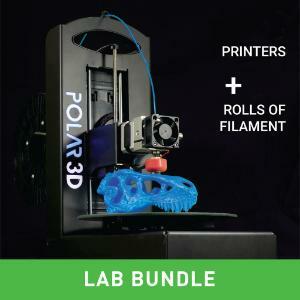 Polar 3D Printer Starter Pack: The Polar 3D Printer Starter Pack is the perfect option for anyone starting to 3D print. The pack includes 1 Polar Classic 3D printer, 6 rolls of 1Kg filament, 1 year extended warranty. 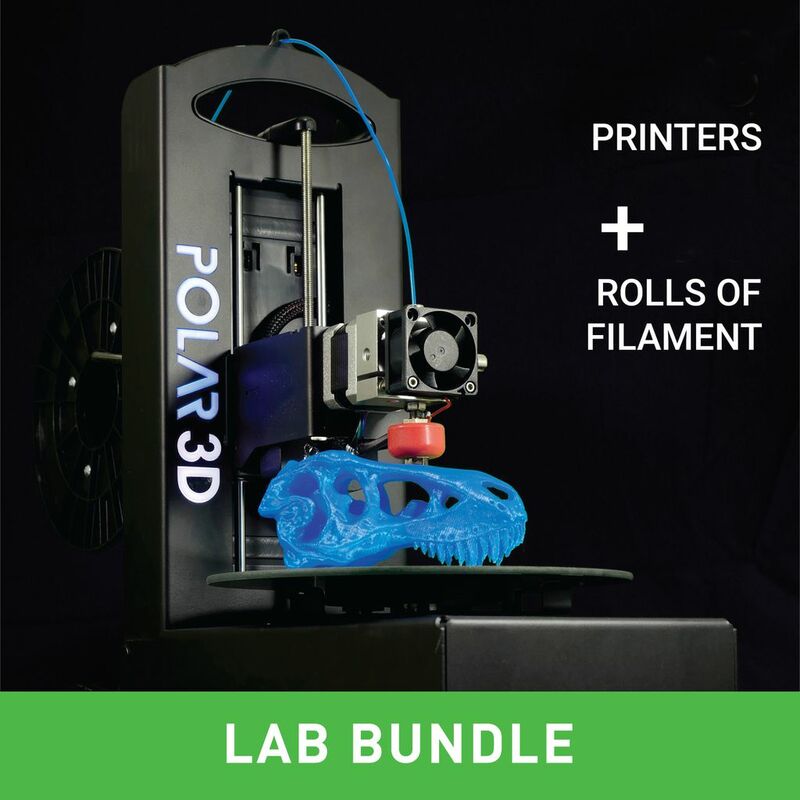 Polar 3D Printer lab bundle: The bundle includes 6 Polar Classic 3D printers, 36 rolls of filament, 6 1-year extended warranties. Elementary School Polar Pack: Bring the first integrated STEAM 3D printing solution to your Elementary School with the Elementary School Polar Pack. Each pack provides you and your students access to STEAMtrax 3D printing curriculum for grades 3-5, 3 Polar Classic 3D printers, 3 1-year extended warranties, 18 rolls of filament, and 3 hands-on science kits to accompany the curriculum. Browse our wide selection of STEAMtrax Elementary School modules to pick the 3 hands-on kits that will align best with your teaching objectives. Listed items: 1 STEAMtrax Elementary School Site License - Curriculum Grades 3-5, 3 Polar 3D printers, Polar Cloud, 3 Elementary School kits, 18 rolls filament and 3 1-yr warranties. Middle School Polar Pack: Bring the first integrated STEAM 3D printing solution to your Middle School with the Middle School Polar Pack. Each pack provides you and your students access to STEAMtrax 3D printing curriculum for grades 3-5, 3 Polar Classic 3D printers, 3 1-year extended warranties, 18 rolls of filament, and 3 hands-on science kits to accompany the curriculum. Browse our wide selection of STEAMtrax Middle School modules to pick the 3 hands-on kits that will align best with your teaching objectives. Listed items: 1 STEAMtrax Middle School Site License - Curriculum Grades 6-8, 3 Polar 3D printers, Polar Cloud, 3 Middle School kits, 18 rolls filament and 3 1-yr extended warranties.